New Film Asks: Were Steve Jobs' Flaws Uploaded To His Machines? 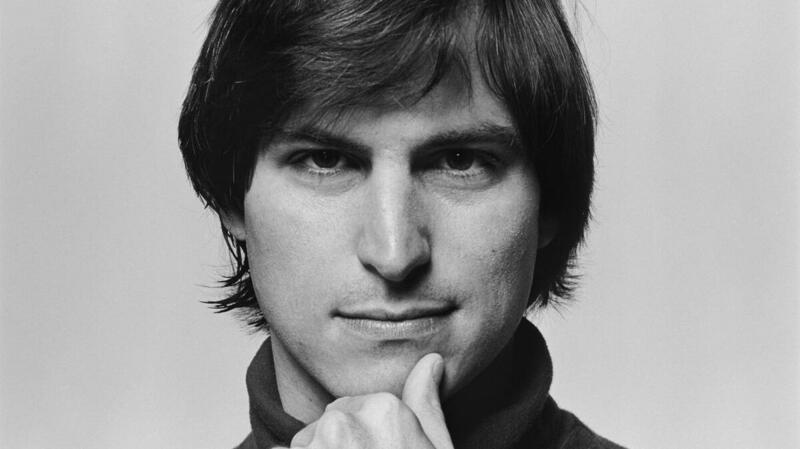 : All Tech Considered Alex Gibney's documentary joins a growing list of Steve Jobs biopics and biographies. The director's thesis seems to be that Jobs' flawed character was infused into the machines he made. In Steve Jobs: The Man in the Machine, director Alex Gibney turns a critical lens on the Apple co-founder and his products. 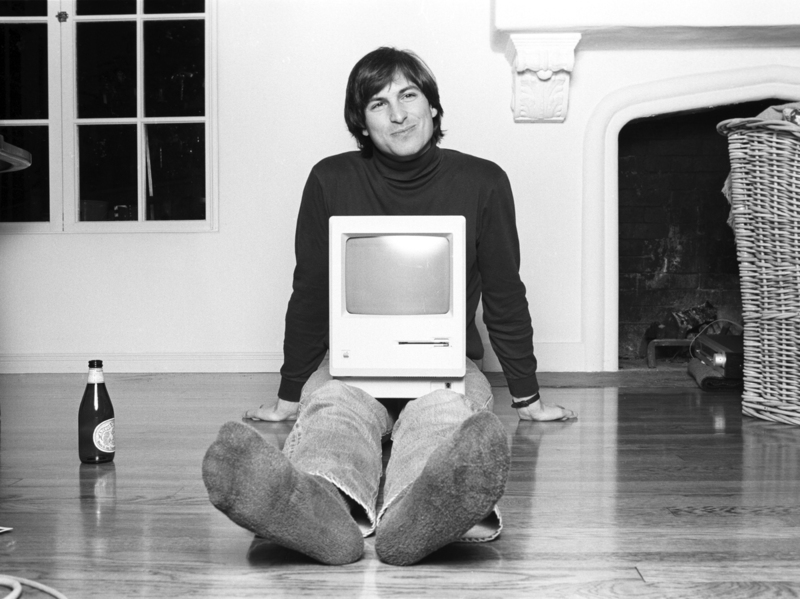 Steve Jobs: The Man in the Machine hits theaters today. Academy Award-winning director Alex Gibney's documentary joins a growing list of biopics and biographies that have come out since Jobs' death in 2011. But, it adds a new perspective on the increasingly well-known facts of his life. Gibney's thesis seems to be that Jobs' flawed character was infused into the machines he made, leaving us perhaps a little more flawed if we use them. The 2013 biopic starring Ashton Kutcher, the authorized Walter Isaacson biography and the more recent Becoming Steve Jobs: The Evolution of a Reckless Upstart into a Visionary Leader all touch on how the Apple co-founder was often cruel in the pursuit of his vision to spark a personal computer revolution. But, they don't question the good of what Jobs invented. Gibney, fresh off his last documentary, Going Clear — a take-down of Scientology — now turns that critical lens on Steve Jobs and his products. The new documentary opens on the day Jobs' death is announced. We see mournful people all over the world placing flowers in front of Apple stores. There are clips from online video tributes. In one, a young man is weeping and he admits "it seems really ridiculous because I've never met the man." Enter Gibney's voice as narrator: "Why did so many strangers weep for Steve Jobs?" It's a question Gibney sets out to answer in his more than two-hour film that mixes archive footage, interviews with old colleagues, and even a never-before-seen video deposition of Jobs from March 2008, when he was being investigated for backdating stock options. Many of the people interviewed for this documentary knew Jobs from his earliest days and had rightful gripes against him. Among them, Daniel Kottke, a college friend who traveled with Jobs to India and then went on to be part of the original founding Apple team. Even though Kottke worked intimately with Jobs to get Apple off the ground, Jobs notoriously refused to give him stock options when the company went public. Gibney also interviewed Chrisann Brennan, Jobs' former girlfriend who gave birth to his daughter Lisa out of wedlock. Jobs denied paternity for years. Gibney shares legal transcriptions in which, among other falsehoods, Jobs claimed he was sterile and couldn't have a child. Only a court-ordered paternity test forced him to acknowledge his daughter. Yet, Jobs once told his teacher, the Soto Zen priest Kobun Otogawa, that he was enlightened. Kobun says as proof a young Jobs brought him an early Apple computer board. In Be Here Now, a book that Brennan and Jobs loved, author Ram Dass talks about the problem of becoming enlightened while still being attached to ego. He calls it "the golden chain," says Brennan. And Brennan believes this is what happened to Jobs. "He blew it," she says. "Steve Jobs blew it?" Gibney wonders how anyone could say that. The documentary acknowledges Jobs' extraordinary successes. He was pushed out of Apple but went on to found Pixar. He returned to Apple and brought it back from the brink of bankruptcy and with one great success after another — the Mac, iPod, iPhone and iPad — he turned it into the most valuable company in the world. But Gibney's film ponders the cost of those products — not only on the people directly surrounding Jobs but on the world writ large. There's news footage about the suicides at the Foxconn factories in China which helped build Apple products. In an interview, Jobs is seen acknowledging the suicides are unacceptable and yet he's also strangely dismissive. Jobs has to point out that the percentage of the U.S. population that commits suicide is higher than the percentage of Foxconn employees that do. Apple factories also leave behind dangerous pollutants, and while Jobs was running the company he refused to meet with Chinese environmental activists. Jon Rubinstein, an engineer who helped design the iPod and the Mac, tells Gibney that Jobs really did believe he was doing good for the world. But, Gibney brings in well-known skeptics to question just how much good Jobs has done. Techno-utopian critic and MIT professor Sherry Turkle believes iPhones are isolating us from one another — "more of what I call the alone together phenomenon," she says. This film lacks interviews with the people who have been closest to Jobs in recent years and might have had a more positive perspective on him. We don't hear from his wife Laurene or Tim Cook, the current CEO, and Jony Ive, the brilliant industrial designer whom Jobs called his "best friend." Apple Vice President Eddy Cue sent out a tweet calling the documentary "inaccurate" and "mean spirited." But many of the same people have also critiqued Walter Isaacson's biography, which was authorized by Jobs himself. And Gibney makes a well-documented case. Steve Jobs: The Man in the Machine has a personal and poetic quality. Visually and structurally it sometimes feels more like an essay. Gibney ends it with questions that sound a little like a Zen koan. "Perhaps I should spend a moment ... asking myself what in buying and using this product am I doing? What is the full nature of my transaction with the maker of this magical and intimate machine?" I doubt Gibney was thinking we should all throw our iPhones into the sea. But, his engaging documentary raises some questions we should all be asking ourselves as we move on to the next phase of the computer revolution. Among them: Do these objects shape our character in ways that are a little too much like the person who made them?